Welcome to DNatureofDTrain's Home Station! . Dedicated to: Kristina Wesley, Mistress Valkyrie, and many other loving friends, pets, and relatives living and passed on. 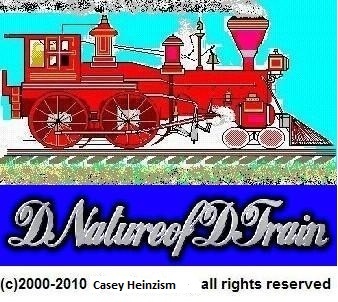 The site name "DNatureofDTrain" is founded and managed by: Casey Heinzism "DNatureofDTrain"
(c)1993 - 2015 Casey Heinzism/DNatureofDTrain Dana Ludeking all rights reserved.